The potential is easy to hear, the implementation needs further refinement. 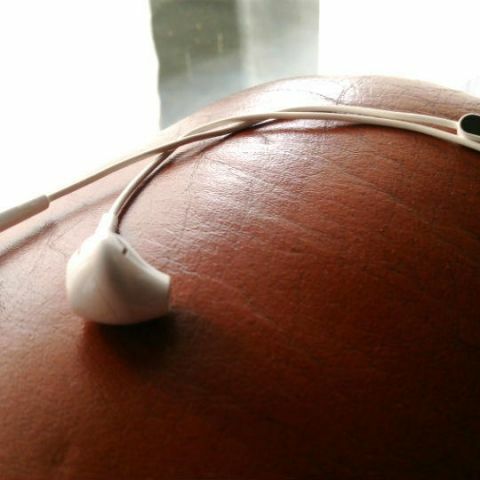 Good audio, as they say, is a beautiful luxury that is forever worth the premium. Over time, mobile phones have evolved into meticulously crafted handheld devices that are not just tools for interpersonal communication, but serve a greater purpose of entertainment. Unfortunately, although mobile-oriented video and music streaming services have risen aplenty, the technology driving the content has seen minimal or incremental innovation. Hence enters LeEco, with a technology it brands as Continual Digital Lossless Audio, or CDLA. The essence of the technology is to drive high fidelity audio through physical cables, thus negating the loss of information bringing audio quality down over Bluetooth or standard analogue cables. CDLA makes use of the USB-C port, which provides a cleaner interface, faster data transfer rates and much higher power output at 100W max rating. Using USB-C, instead of microUSB, gives audio delivery a number of advantages. For one, the higher power output enables LeEco to equip CDLA headphones with a separate circuit built into the headphones’ casing. The circuit allows the headphones to present noise cancellation, along with more powerful audio delivery. Beyond the inbuilt circuit is the standard Neodymium driver mechanism, which is aimed at driving brighter, more wholesome audio. Along with this, USB-C provides a cleaner interface for audio delivery, in comparison to the standard, 3.5mm audio port. There is lesser signal noise, which translates to lesser loss of audio data here, thus managing higher fidelity of audio through smartphones. The same happens in comparison to wireless audio transmission. Standard Bluetooth-based audio delivery sees a lot of data loss in the airwaves, and CDLA is equipped to handle all of this. This, is all that LeEco’s pair of in-ear monitors stand for. On paper, it sounds like an effective, ingenious innovation ready to take smartphone audio further, and for LeEco, a company that relies so heavily on content to stand out from the crowd, it can even be crucial. As far as headphones go, the LeEco in-ear headphones resemble the Apple EarPods by a fair margin. 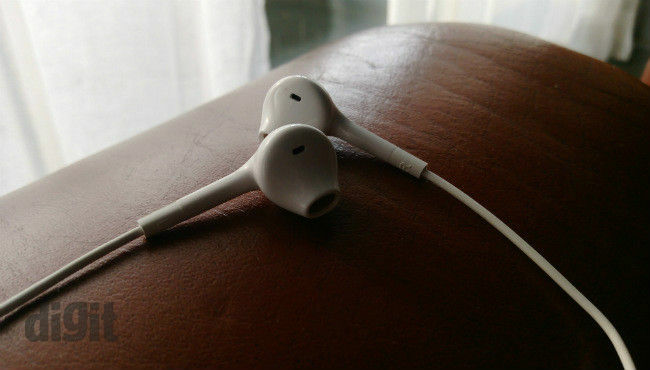 The earphones are light, comfortable on prolonged wear, somewhat large but not intrusive, and uses a quality of plastic that passes off as acceptable. It has red LEDs on the exterior of each earbud, which flickers on the moment you plug it into a LeEco device. Comfort-wise, you would not really be too concerned. The LeEco in-ear CDLA headphones are pretty much the standard pair of in-ears that you would get in your smartphone’s box, except that these are more advanced, and neither do they come bundled with your device. And this is where I encountered issues. Sure, the technology seems sound, and has every potential to actually change how we perceive smartphone audio to be, but the audio quality is not that impressive. For one, despite the audio being bright and loud, there is a distinctive lack of detail. The mids are too muddled, and the treble overpowers the audio. Bass frequencies are too indistinct, and there is considerable amount of distortion at volume levels higher than 60-65 percent. The high level of harmonic distortion is possibly the last thing you would have expected in headphones that aim to deliver pristine, lossless audio. Soundstaging is reasonably bright, but the muddled mids, coupled with the overpowering yet blunt highs and practically weak bass makes the audio experience fairly uninspiring. The only point where the LeEco CDLA in-ears work great is when you are streaming a live match, where the commentary is amply loud and sharp at 65 percent loudness, and the power circuit works its magic into giving you nice, isolated audio. CDLA, though, works fine, and I'm almost convinced that this is the technology to get the most out of smartphone audio, going forward. LeEco deserves to be hailed for taking the first step in making the necessary innovation, and I could only hope that the dedicated audio drivers performed better than what they do, at the moment. I'm certain that future variants of LeEco’s CDLA headphones will be much better equipped to actually please the audio fanatics, and there is no reason why it shouldn't. To sum up, CDLA is a great, great innovation. 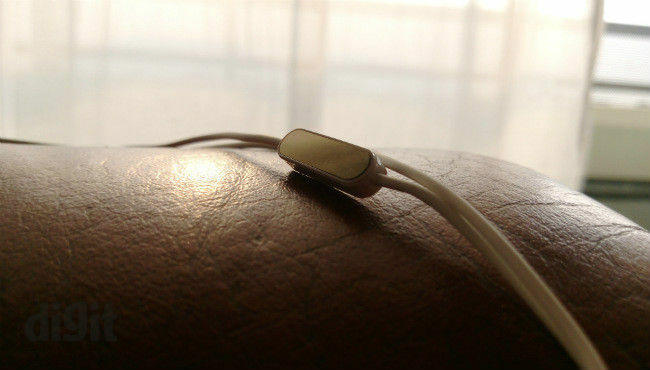 The rest of the aspects of LeEco’s in-ear CDLA headphones, unfortunately, are very mediocre. At ₹1,999, there is no reason why you should buy these, and rather go for a pair of Brainwavz Delta and rely on the USB C-to-3.5mm adapter for now.